Market capitalization of over a gazillion dollars? More employees than a small city? 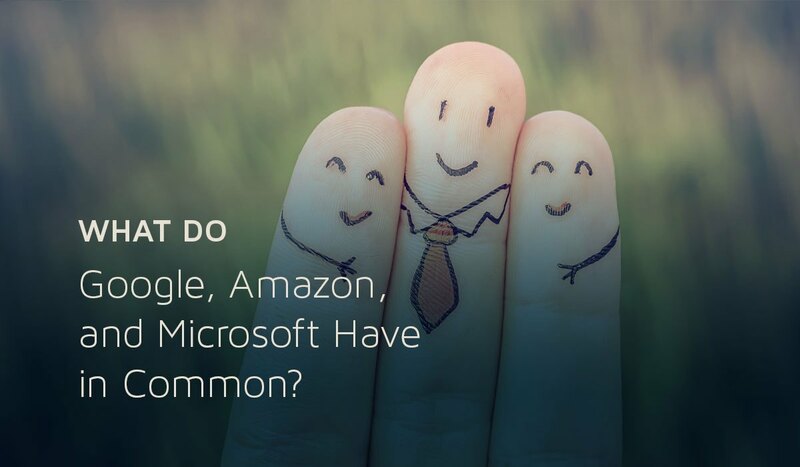 No, the surprising thing these Big 3 have in common is the need to outsource. Even with their collective annual revenue that surpasses 95% of the industrialized world's economy, their internal resources are not infinite. They outsource many services and business functions, from call centers, to programmers, to R&D—just to name a few. Every company—big or small—has finite resources, needs to focus on what they are really good at, and can't excel without outsourcing some business-critical functions. When outsourcing a business function to a subject matter expert, you get immediate access to that expert's intellectual capital and years of honed experience. In the home context, this is why we pay lawyers, plumbers, and personal trainers. We outsource the expertise we don’t have—and that keeps us out of trouble, fixes clogged drains, and tightens our abs. The same holds true for the outsourcing of data and marketing services. The marketing world is far more complex than it was even 5 years ago. With so many marketing channels that now need to be considered, budgeted for, and integrated, it is prohibitively challenging and expensive—ie. impossible—to be an internal expert on all channels. At Instinctive Insights, we are subject matter experts in the direct response channels. We think about our client's overall marketing plan and become an extension of their team. We leverage our years of experience in targeted direct response marketing to ensure positive ROI, every time. We’re most effective when we are a fully-integrated, outsourcing partner. This means we handle the strategy, data, creative, production management, and most importantly, analysis—keeping our clients focused on what they're really great at. To start a conversation with an experienced, direct-response partner that will provide greater process efficiency, improve your acquisition and retention rates, and/or deliver superior ROI, contact Instinctive Insights.